Scotland's most prestigious music award ceremony, the Scottish Album of the Year (SAY) Award will go ahead in Edinburgh in 2019, moving away from its previous venue of Paisley Town Hall. Going into its eight year, the SAY Award continues to be Scotland's most followed awarding body, promoting and celebrating Scottish talent year round and, of course, appointing the most outstanding album released within that year. In the lead up to the awards, the company behind it all – Scottish Music Industry Association (SMIA), will host a ticketed musical showcase, where the top 20 albums of the year will be revealed. The Live at the Longlist event will take place at the Queen's Hall this July and comes as part of the venue's 40th anniversary celebrations, which run throughout 2019. Working in partnership with Edinburgh City Council, SMIA have secured The Assembly Rooms for the September ceremony, where the prize winner and runners-up will be revealed. The award boasts a £20,000 prize for the winner, with nine runner-up prizes of £1,000 each as well as a design commission to highlight the harmonious links between music, art and design in Scotland. 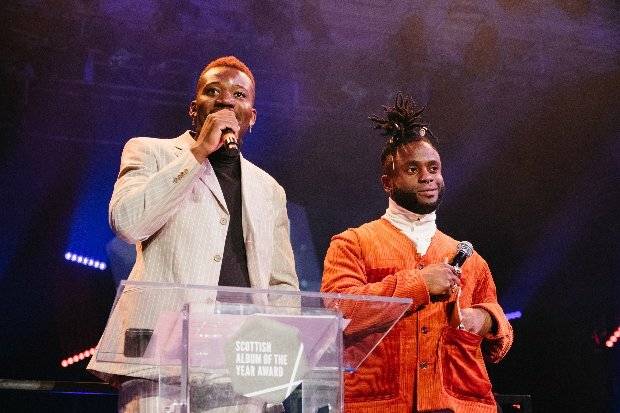 Scottish hip-hop group Young Fathers took the 2018 prize spot for their album Cocoa Sugar. Other winners have included: Sacred Paws – Strike A Match (2017), Anna Meredith – Varmints (2016), Kathryn Joseph – Bones You Have Thrown Me And Blood I've Spilled (2015), Young Fathers – Tape Two (2014), RM Hubbert – Thirteen Lost & Found (2013) and Bill Wells & Aidan Moffat -- Everything's Getting Older (2012). From Wed 1 May eligible albums for the 2019 awards can be nominated via the SAY award website. All genres are welcome and submissions are accepted from artists, industry workers and music fans alike.